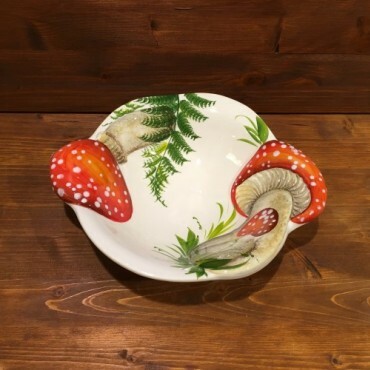 Red Mushrooms Bowl, made and hand painted according to the art of Italian ceramics. 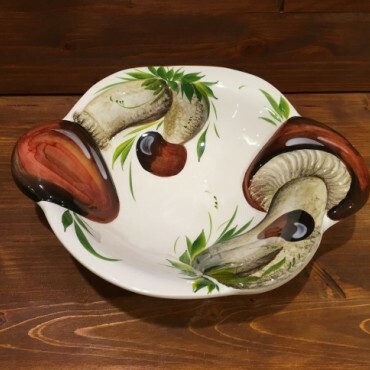 Brown Mushrooms Bowl, made and hand painted according to the art of Italian ceramics. 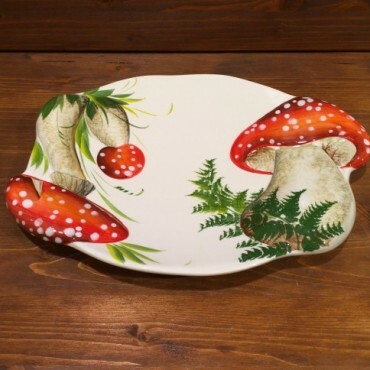 Red Mushrooms Tray, made and hand painted according to the art of Italian ceramics. 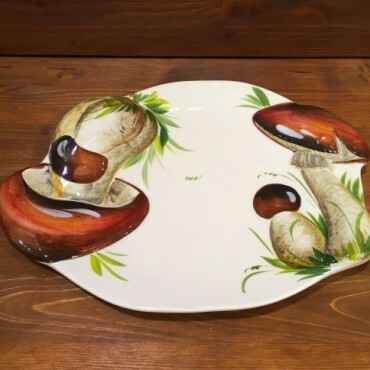 Brown Mushrooms Tray, made and hand painted according to the art of Italian ceramics. 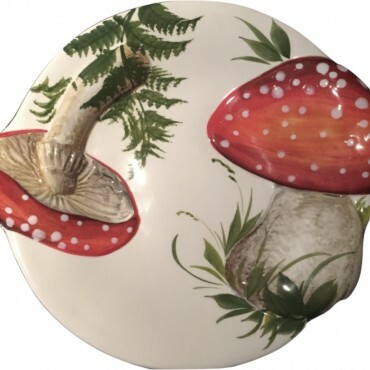 Red Mushrooms Plate, made and hand painted according to the art of Italian ceramics.